I don’t post all my sunset pics here…if you want to see them you can follow me on twitter or Google+. I will post some of the more interesting ones here and tonight falls into that category. There are some pretty good sunspots today. By underexposing the Sun quite a bit, you can bring out the sunspots. I got them just as the Sun was setting behind a mountain. 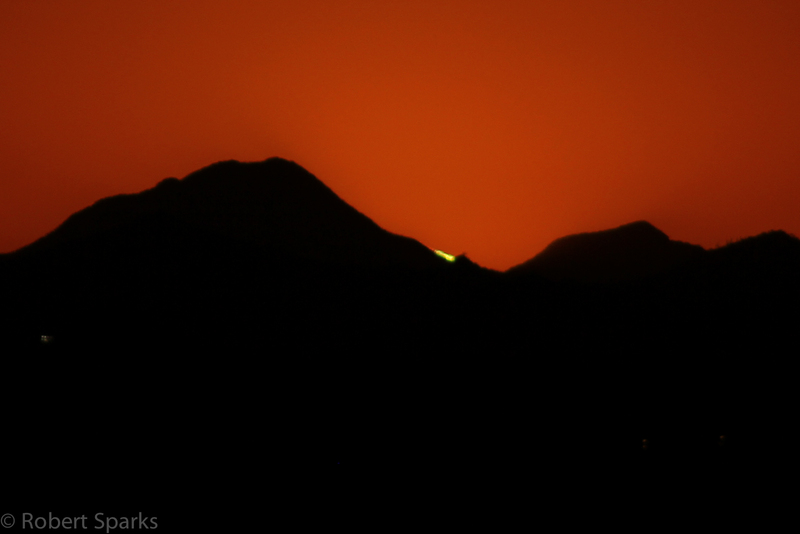 I waited around for the green flash of course. 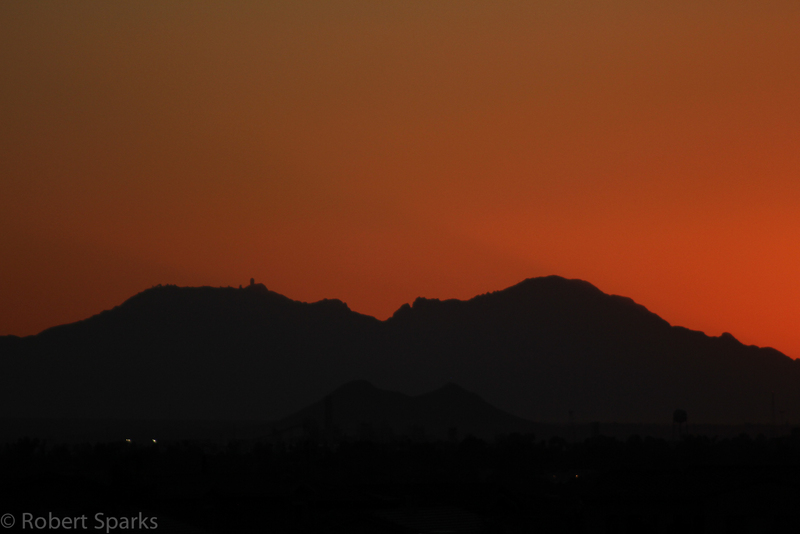 Tonight I also took a quick shot toward Kitt Peak. 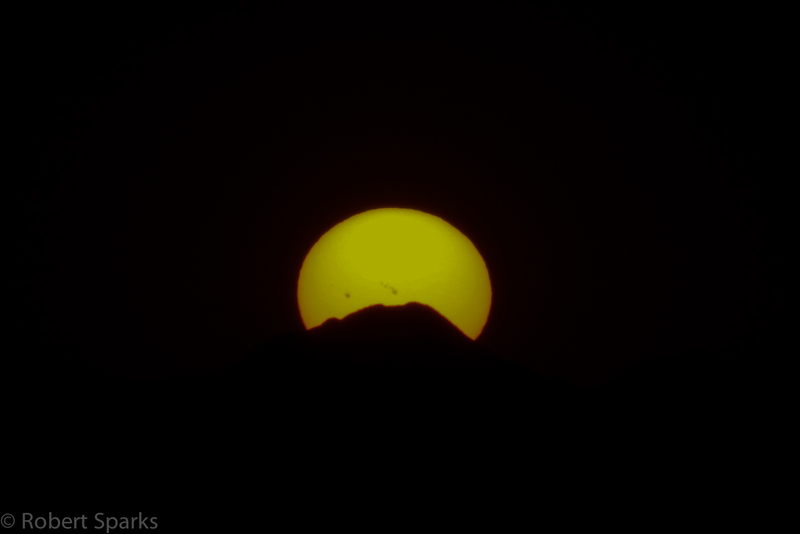 Late next week, the Sun will set behind Kitt Peak and I will be trying to get that shot!